When I gave up coffee four months ago, I rediscovered my love for loose leaf organic earl grey tea with a splash of milk and a touch of sweetener. The problem is, virtually all ALL-NATURAL sweeteners are highly caloric. Some (quote, unquote) "health experts" will tell you that low calorie Stevia powder is the way to go, but Stevia is a chemically-processed product that I personally do not feel comfortable putting into my body (or my children's). When I drank coffee, I never added sweetener. But with tea, my tastebuds just crave it. So, what to do, what to do? Raw sugar doesn't dissolve well in tea, honey is delish but messy and high in calories (we are talking about EVERY day use here, people), AND chemically-processed, high-fructose agave is NOT the health savior we were told it would be (shock, shock). So - where does that leaves us? With good old fashion maple syrup, actually! Maple syrup is high in minerals, NEVER chemically processed, considerably lower in calories than honey, and SUPER easy to pour (a huge plus during the morning rush)! And the truth is, a little goes a long way. I add about 1 teaspoon to my cup of earl grey each day and that is just the right amount to cut the slight bitterness of black tea without overpowering the bergamot flavor. Maple syrup has also become the go-to sweetener at our house for smoothies, oatmeal, and plain yogurt. I usually buy the organic, dark, Grade A variety available at Trader Joe's or Costco - but you can find it at almost any grocery store. Okay - everyone knows McDonald's is not exactly known for selling the healthiest fast food on the planet. My own deprived children have never even experienced one of their burgers OR Happy Meals. I must confess though, we have been known on occasion (i.e., road trips) to indulge in a McDonald's ice cream cone or two since their soft serve, by itself, contains relatively natural ingredients with no artificial colors, flavors or preservatives. 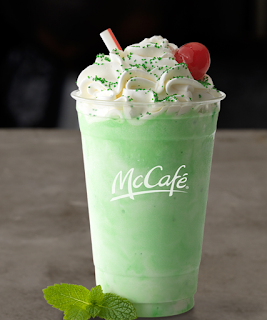 So, when the infamous Shamrock Shake hit the airwaves (and advertising billboards) this month -- my kids begged me to give it a try. 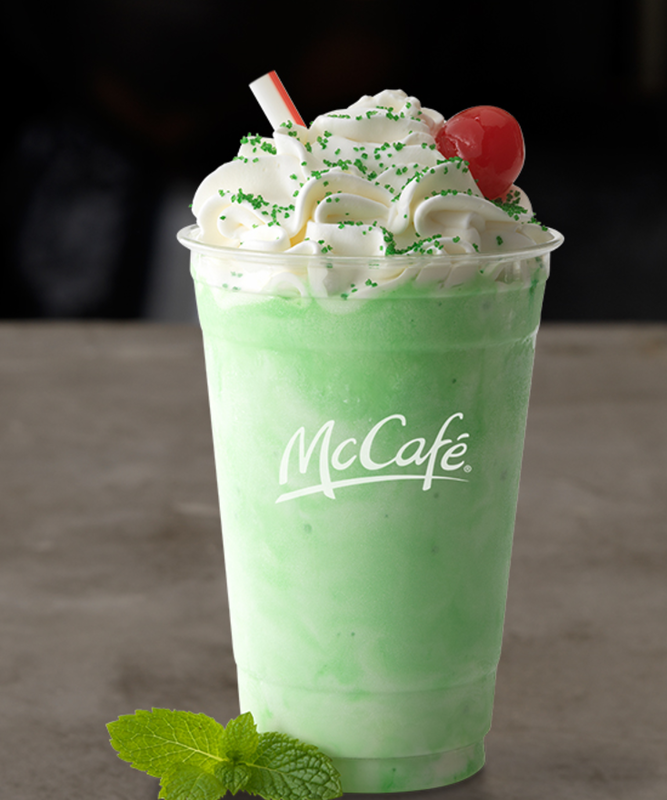 I personally have fond memories from my own childhood drinking many a minty "March Only" McDonald's Shamrock Shake so I really, really wanted to drive up and buy them each one ... until, that is, I looked up the ingredients. Sigh! High Fructose Corn Syrup; Sodium Benzoate, Potassium Sorbate and Sulfur Dioxide (As Preservatives); Yellow 5, Blue 1, and Red 40 (As Artificial Colors), PLUS artificial flavor. So I had to say "Sorry kids, no can do." But then we drove to the store to purchase a quart of vanilla ice cream, some milk, and natural mint extract and VOILA! We created our own - minus the artificial ingredients and colors - so, thank you McDonald's for introducing this fun tradition to our family. Now, if you would please consider eliminating the chemicals and artificial ingredients that are so harmful to children's growing bodies, then we could bring this tradition (and our dollars) back to you. In an independent study conducted by blogger Nature Baby Mama, children's sippy cups were reported this week to contain dangerous lead levels - in both the paint used on the cups as well as a small lead solder piece at the bottom of some cups. Natural bath toys for babies and little ones are hard to find. Most are made from toxic vinyl, plastic or foam - none of which you want floating in your child's bath water or placed in their mouths (where all bath toys tend to end up anyhow). So, when my kids were babies I started buying up washable terrycloth bath toys wherever I could find them. They were hard to come by though until I finally found a company that carries a whole line of them: Plantlife. Plantlife is an all-natural body care company based in California. In addition to the soaps and essential oils and other products they produce, they also make 100% natural cotton, hemp and ramie scrubbies that are hand sewn in the USA, naturally dyed, and contain no removable parts. They come in a colorful array of adorable animals (octopus, frog, turtle, duck, starfish, etc) that are perfect for bath time. I first came across the Plantlife scubbies at Whole Foods, but I have since bought them at other health food stores and online at Amazon and www.plantlife.net. 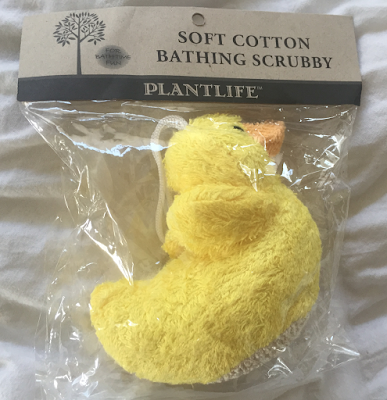 When you purchase a Plantlife scrubbie for your child's bath, you know you are getting a product that is chemical free - with no parabens, phthalates, artificial colors, fragrances, dyes or synthetics. The next time you get bronchitis -- or a bad cough that just won't go away -- you owe it to yourself to try oregano oil BEFORE giving into antibiotics. It tastes awful, but it does the job. I once went on antibiotics 4 times in one calendar year due to chronic lung issues. That was over 16 years ago - before I discovered oregano oil, and I have NOT taken antibiotics for my lungs ever since. It was my daughter's pediatrician who first recommended it, actually. He said, "If you can get a child to stand the taste -- their lungs will clear within a day or two." Well, he was right. Just two drops of oregano oil (in 2 tablespoons of water) is now the cure all for the whole family during cold and flu season. Herb Pharm is definitely my go-to brand, but Amazon and other local health food stores carry great brands too.